Telegram is one of the most remarkable messengers nowadays. It’s an excellent example of how the platform marketplace has evolved. Telegram’s creators figured out how to develop a messaging app which is fast and secure and has a strong developer community around it. Pavel Durov, the founder of Telegram, has declared 2019 the most important year in the history of his company. He expects further expansion of Telegram and promises new features. In March 2018, Telegram crossed the line of 200 million monthly active users. Although one of Telegram’s main competitors – Line – has 165 million monthly active users in their four key countries alone (not to mention WhatsApp, with 1.5 billion), developers still choose Telegram as the role model. Signal is often considered Telegram’s main competitor when it comes to security. But it still only has 10+ million downloads on Google Play against Telegram’s 100+ million. A lot of developers want to duplicate Telegram’s success and try to understand how to create a chat app of such a high level. So what do you have to consider when building an app like Telegram? Let’s take a look. The most emphasized advantage of Telegram is its security. Telegram is the leader among secure messaging apps. The creators of Telegram prioritize security as well as speed. At the very beginning, Pavel Durov offered $200,000 to anyone who could break their messenger’s encryption. However, that money never found its owner. To build a messaging app with high security, you should decide what encryption protocol to use. All messages sent through Telegram are encrypted by a combination of 256-bit symmetric AES encryption, 2048-bit RSA encryption, and Diffie–Hellman key exchange. Unlike its main competitors with encryption features – Signal and WhatsApp – Telegram uses its own encryption protocol. Since 2016, Line has been using end-to-end encryption by default. Line uses the ECDH protocol for client-to-client encryption, including for group chats, voice calls, and video calls. Telegram’s protocol is still proprietary. But Telegram doesn’t protect all private chats with end-to-end encryption by default. Instead, it lets users choose whether they want to protect their messages by using the Secret Chat feature. In secret chats, users can also set a timer for their messages so they’re automatically deleted after a recipient has read them. Messages sent as secret chats aren’t stored on Telegram’s servers and can’t be forwarded. And if you take a screenshot of a secret chat, your messaging partner will automatically be notified. Media files are displayed in secret chats by pressing and holding on them. If you’re considering implementing privacy features for your messenger, check out this article on the library we developed to ensure that only the recipient will see an image. In Telegram, secret chats can only be continued from the device on which they were initiated. In other words, you can’t start a secret chat on your phone and then continue it on your tablet. Meanwhile, encryption experts have expressed concern that the messenger doesn’t use end-to-end encryption for all communications. Experts also wonder why Telegram uses their self-made MTProto encryption protocol when there are many freely available encryption protocols that have proven effective. In contrast, Signal, WhatsApp, and Wire are often praised for having end-to-end encryption turned on by default. This means a user’s chat data is stored and encrypted directly on the device the user is chatting from and not on a server. These messengers use the Signal Protocol, which is approved by encryption experts, widely available, and free. 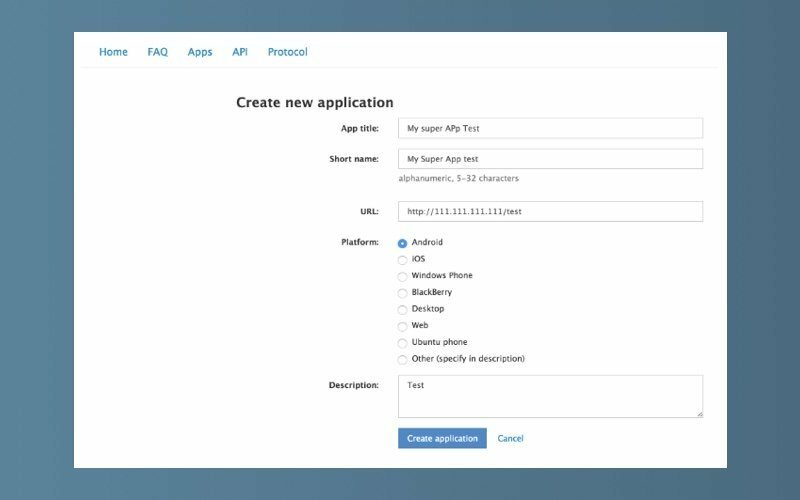 Telegram shares its API and welcomes developers to use it for free in their own apps. You’re even allowed to monetize products built on the Telegram API. Telegram’s code is completely open-source. This attracts developers to the community by giving them an opportunity to be part of the development process. We’ve already investigated Telegram’s open-source code. You can find the results of this investigation in our previous article. Telegram is also praised for being attentive and open to its users. The latest update — a translation platform — is targeted at smaller language communities. Anyone can use the translation platform to make their own custom language packs. Now users can translate the Telegram interface into any language or local dialect such as Māori, Scottish Gaelic, or even Klingon. Every group chat in Telegram can be promoted to a supergroup by its creator. Supergroups allow users to pin an important message. They also have more advanced moderation tools. Admins of supergroups can ban and report spammers and delete all messages from a particular user. In the latest update, Telegram users can establish ordinary groups of up to 200,000 members. That’s twice the number that the messenger previously allowed. This update allows a group to hold all the adults in an average town. This blurs the line between Telegram’s ordinary groups and supergroups. In addition, Telegram has updated group management options. Group admins can limit other members’ ability to post a specific type of content. Additionally, a group admin can change a group to a one-way broadcast channel. Admins can also authorize anyone else to be a group admin. Some of the top 100 Telegram channels boast tens of thousands of post views. Channels support a lot of convenient publishing features including links to posts, which allow users to share a message with non-users; silent messages, which are sent without a notification – for example, if it’s late at night; and admin signatures, which allows users to identify the owner of a post. Instant View allows users to post links to news that open instantly within Telegram. With Instant View, Telegram users can read articles from media sources and blogs. The Telegram team has updated this technology for faster web page browsing. Instant View 2.0 introduces support for right-to-left languages, links to images, and new page formatting elements. As a result, sites with complex designs will be displayed correctly. Telegram was one of the first messengers to launch their own bot platform. Chatbots on Telegram can perform a variety of tasks from reporting recent news to managing finances. Telegram’s Bot Platform is one of the most advanced to date. Cloud storage is a useful feature for those who switch between a smartphone, tablet, and desktop. The fact that Telegram is cloud-based means users can sync their messaging data across all devices and can start typing a message on one device and continue on another. Unlike cloud services which give limited storage space, Telegram allows users to store unlimited files online and get them back whenever they want. It’s even possible to create a Telegram bot that stores files sent to it. Such a bot keeps files private so no one will be able to see other users’ files. From the outset, Pavel Durov, the founder of Telegram, said that he didn’t plan to make money from the messenger. It’s fully sponsored by him with money he earned from selling the popular Russian social network VKontakte. The amount invested in Telegram is estimated at $300 million. Telegram’s team has commented that “you can’t burn cash forever.” But Durov assures us that the messenger will always be free for users and that there will never be any advertising or subscription fees. Now the company is looking for a suitable business model that won’t break with their principles but will allow them to keep improving the product at the same pace. Telegram also doesn’t allow creators of bots or games to show ads in their products. In October 2016, they announced that they’re working on a unified monetization system for creators of products for the Telegram platform. The first step toward monetizing Telegram was made in September 2016 through a third-party platform when Durov’s team released paid stickers for iMessage. The money earned from those stickers is spent on designers’ salaries and the creation of new stickers. However, according to Telegram’s blog, the vision of the company toward making money hasn’t changed much since 2016. Telegram assures us that it will introduce non-essential paid options only if they run out of money to support the infrastructure and finance developers’ salaries. Telegram also keeps insisting that making profit will never be their end goal. How does Telegram attract users and developers? The Telegram team claims that they haven’t spent a penny on promotion and advertising. Users come to the app only because of its maturity. A number of features and tools attract users who need a channel for professional communication, such as bloggers and SMM managers; developers are attracted by the opportunity to get their products on a new platform. The fact that Telegram doesn’t spend on marketing assures users of the app’s quality. Any statistics about Telegram are purely organic. The following tools also help Telegram actively spread and attract new users. Made by Telegram, Telegraph is a publishing tool that lets users create fully formatted posts with media files. Moreover, posts created with Telegraph are supported by Instant View. Telegraph encourages SMM managers and bloggers to choose Telegram over other chat applications for communicating with their audiences. With Gaming Platform, you can create simple HTML5 games with graphics and sound. These games are loaded on-demand like regular web pages instead of being downloaded on a user’s device like an app, saving storage space. According to Telegram’s blog, it took just five hours for a Telegram developer to create and set up a demo time challenge game, Corsairs, with graphics, sound, and animations. Telegram allows creating groups just for playing Telegram games. The most popular games are Quizarium, Werewolf, and Gamee. The Bot API allows bot developers to connect their programs to the Telegram system. The Telegram team constantly updates the bot platform, which encourages developers to create their own bots for Telegram. In 2018, Telegram announced support for AI chatbots thanks to integration with SnatchBot. SnatchBot allows users to build bots that can seamlessly communicate on various channels. With the arrival of SnatchBot bots on Telegram, builders have an opportunity to create sophisticated bots with natural language processing (NLP) functionality that can learn by means of AI. The Telegram Passport service can store personal data: national IDs, foreign passports, receipts, utility bills, and other documents. Users can upload copies of these documents to Telegram cloud storage, which is protected by end-to-end encryption. After that, users can share this data with services requiring authorization with no need to reupload it. The messenger itself does not have access to this data. Telegram is especially popular among cryptocurrency traders. The first reason is security. Telegram is still considered more private than its popular competitors. Some users choose to use the app’s end-to-end encryption feature for total anonymity, as governments and other entities can’t access private messages. Multi-platform availability is the next reason why traders use the app. Besides, the ability to add different accounts within Telegram allows for creating different profiles. Users can have distinct profiles for work and for connecting with friends and family. One more reason for traders to use Telegram is the ability to make price bots that can automatically provide price updates. Telegram users have created bots that post price updates at significant milestones or margins. Traders also use bots to monitor arbitrage opportunities on various exchanges. Telegram regularly holds competitions for developers and designers, asking them to create libraries, interfaces, and products. Here are a couple examples of such challenges. In March 2019, Telegram conducted two contests: one for designers and one for developers. UI designers vied for a $15,000 prize. The competition was related to a redesign of the Telegram chat screen and attachment menu on Android. The secret of Telegram’s growth can’t be explained simply by its appealing contests and cool features. Whether it’s luck or a calculated plan (or even magic) we can’t say, but in 2014, right after Facebook purchased WhatsApp, Telegram got 8 million new users. Another stroke of luck occurred in 2016. At the time, WhatsApp was temporarily blocked in Brazil, and as a result, Telegram got almost 6 million new users in one day. Brazilian mobile operators couldn’t even handle the huge number of SMS messages with verification codes. A lot of developers are interested in creating messenger apps. These developers study Telegram features and the technology stack behind the app. Although there are some behemoths in the market, newcomers constantly try to stand out by offering new features. It’s impossible to give you a pill for success. Telegram is financed by one person, even if he’s principled and firm. But you still can use Telegram’s experience to create your own startup. We hope this article gave you valuable insights. We would love to help you take advantage of Telegram’s experience to create a messaging app.